Map It! 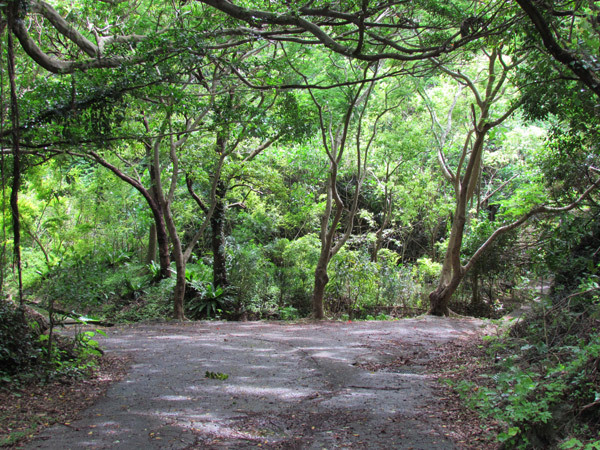 Okinawa: "Off The Beaten Path - Yomitan Village"
There is a small walking trail here where you can see the Hijigawa River. 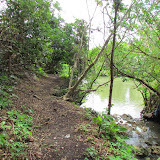 It's not much, but if you are an adventurous person you might dig this small trail and see a different view of the river. This is the same river that the Yomitan Red Bridge passes over. There are some old style cemeteries or 'Hakas' built along the side of hill and a small natural spring where farmers sometimes collect water (see photo album above). Park where you can off the side of the streets. It's pretty tight. You will have to walk to get to this point. Trail is pretty noticeable. Note: Depending on the time of the year, there are many mosquitoes. Always be wary of spiders and snakes. Please remember that the cemeteries are place of religious reverence. What to bring. Camera, recommend shoes and not sandals, a walking stick or umbrella to move away brush and spider webs.